Traveling to Guimaras will never be complete without doing the island hopping tour. 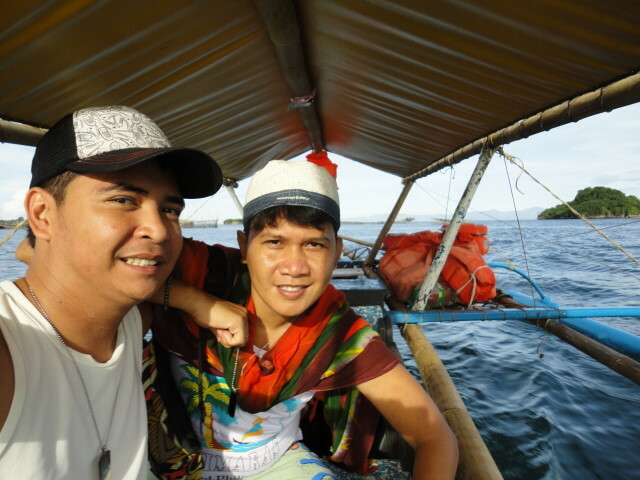 It was 7:00 AM in the morning on our second day in Guimaras. The sun and sea is one with our craving for interesting places to explore in the island. 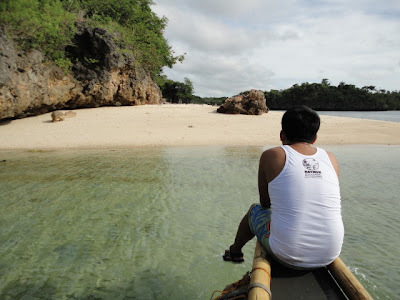 Hopping in the nearby islets in Guimaras is a must-do activity. Island Hopping tours can be availed at Raymen’s Beach Resort. But there are other freelance boat operators stationed at the beach area offering their services. Rates are standard. 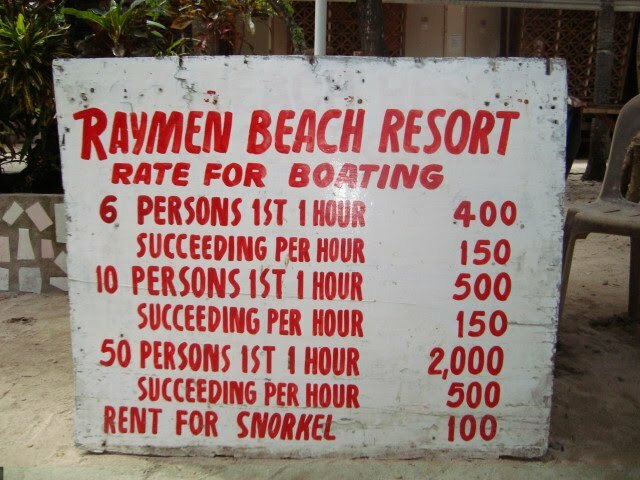 It's 400 pesos on the first hour and additional 150.00 pesos for every succeeding hour. 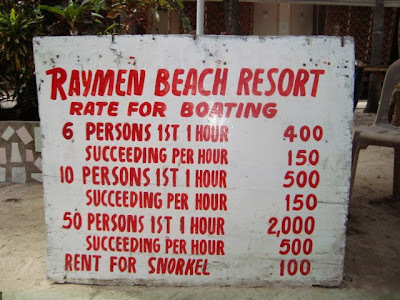 They also rent out snorkels, if you want to do snorkeling. We paid a total of 750 pesos for a 3 and a half hour island tour. Jordan Marine Sanctuary - This is a breeding center of some variety of fishes like Lapu-Lapu and Milkfish. The center is built with cages on an open sea. 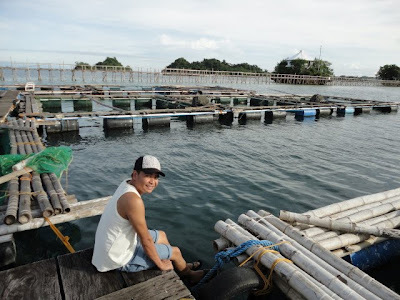 We walked on floating wooden path towards the cages where the fishes are being bred. A minimal fee of 25 pesos is being collected by the caretaker. It's nice to see big fishes floating in the surface as it is being fed. Ave Maria Beach - has a nice sand mix with breathtaking rock formations around the area. We didn't swim here, we just had some photo sessions and headed to our next destination. 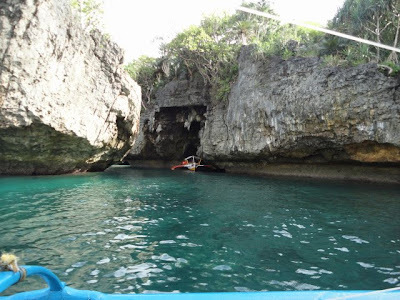 Ave Maria Cave - a cave in an island with 2 entry points. I thought our boat will enter and exit on the other, but it's impossible. Hehe! It entered the cave and exits on the same entrance. The feel inside is very creepy as only minimal light is coming in. We swam in its cool waters and took some photos in the rock formations. 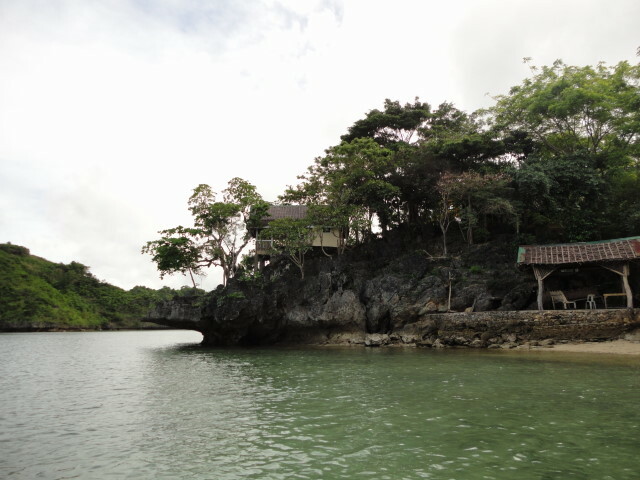 Baras Beach Resort - a great island hideaway in Guimaras. Hidden in a sheltered inlet, it’s the perfect place to take a relaxing break from the fast paced city life. Upon entering the bay, you will see several cottages built with inspirations of Indonesian architecture each hovering on the coast overlooking the sea and surrounded by verdant foliage. (www.exploreiloilo.com) We didn't get off our boat as we want to experience the other island. Natago Beach - This beach is amazing! From the boat, we already see it's innate beauty. We hurriedly jump off the boat as we can't wait to swim in it's clear waters and white sandy beach. Haha! It also has a rest house built on top of a cliff, what a sight! 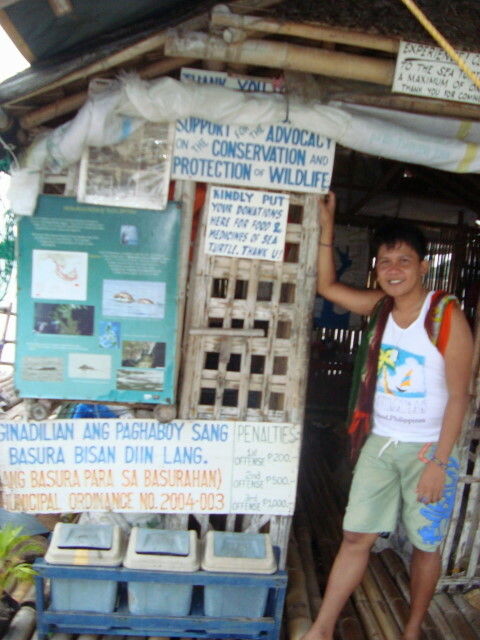 Lawi Marine Turtle Rescue Center - a center built on a bamboo barge with net cages in an open sea. It has become a temporary shelter for green sea and Olive Ridley turtles. Some captured turtles are brought here for caring before they are sent out in the sea again. What a great way to end our island hopping adventure. 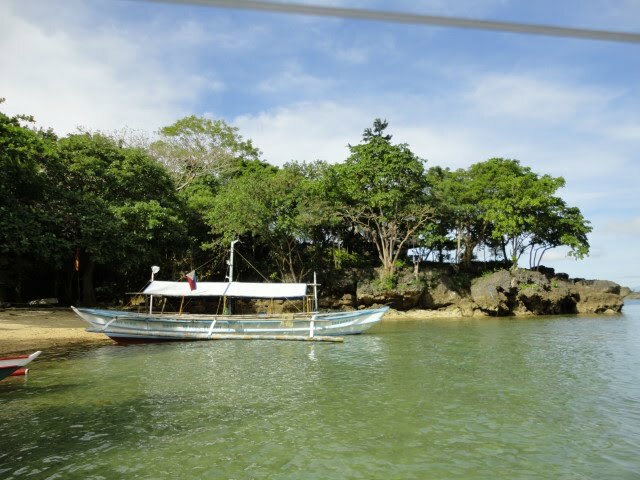 There are many islands in Guimaras that are yet to be explored by us. The next time we come back, we will make sure we will visit the other Islands. 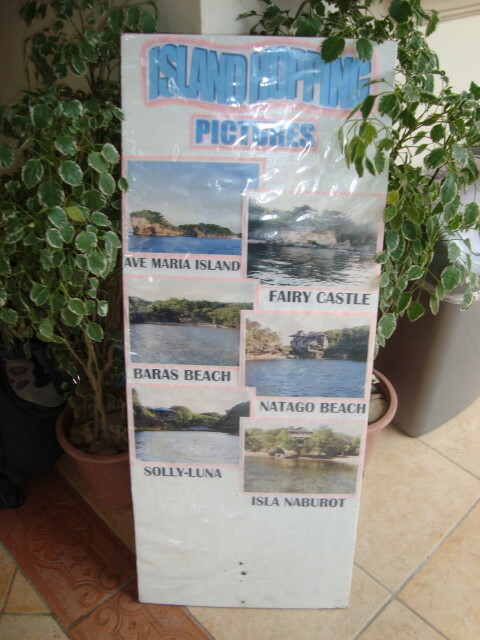 Posted on November 30, 2010 Categories: Guimaras , Island Hopping , Trip ko 'to.. I visited this place in 2005 for a day trip from Iloilo. I loved the quick stay and did the island hopping. Someday, I will visit this place again. 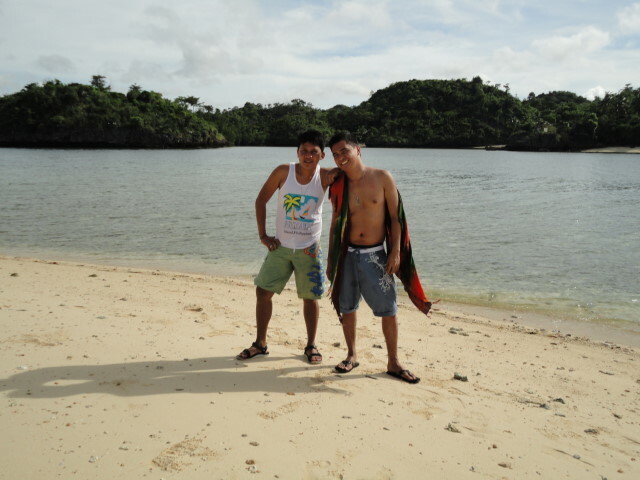 @Axl-yeah, maganda nga ang Baras Beach, mas like ko ang Natago beach... Thanks po! @Reymos-1 and ahlf day is Guimaras is not enough to do all the exciting activities there.. I'll also come back if given the chance... thanks a lot sir! nice. i should drop by Baras in case I'll be back in Guimaras! I have yet to visit this place, but I'm afraid it won't happen anytime soon :( So many other trips lined up. Fun and budget friendly trip! @Pinay Travel Junkie-wow! many trips lined up! gow!!! See you sa mga trips! Happy trip po! @fetus - yeah, island hopping anywhere in the Philippines is such a great experience... thanks! 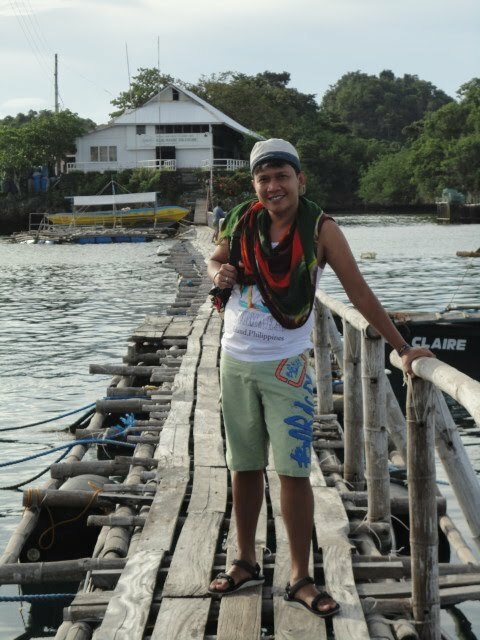 so far the best trip I've had this 2011 - Guimaras. It's truly a hidden jewel! we been here just last week.. during our day off...with some friend... visiting guimaras with island hopping will complete ur trip..